A lady whose life dwells in the clouds of breathtaking creativity and who loves working with the miniatured gowns that stud the cute babies. Plough through the tale of this spirited lady who is a perfect exemplar to work-life balance. What could be the most serene and pleasing thing that could rejoice us? Well, if I have to answer this question I would say smile of a baby which delineates purity of a soul. As the rainbow which embellishes the storm havocked sky, the breezes that bring you the scent of drenched soil after a ruthless downpour, the moon radiating bliss in the mysterious dark, babies take me to the clouds of joy where you float in delectable spirits burying the pressures of life. Sudeepa, a walking blueprint to the phrase ‘Simplicity is the ultimate form of sophistication’ has a similar story to share where she says that to her happiness is watching these little angels in beautiful frocks that took form from the folds of her creative mind. Being an achiever since her childhood, her parents have chosen a career in medicine for this go-getter. But being a blue-sky thinker, she wanted to lose herself in the slides of ‘Creative Park’. So she enrolled into the course of Home Science which seemed to be the only option to her. Sudeepa says with a whimsical laugh, “Later I realised that there exists a special stream called Fine Arts.” She completed her post-graduation in textiles. She could never foresee a future starting a boutique and carrying this work forward professionally. 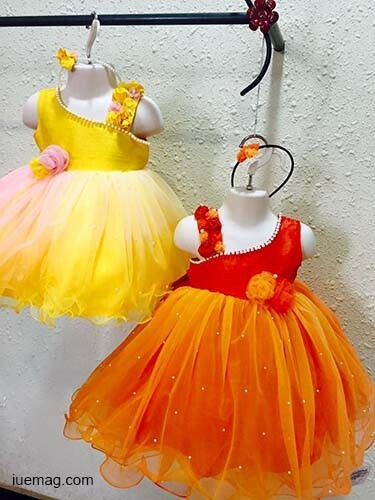 The launch of her boutique ‘Aalana’ 20 years back is emblematic of her love for the beguiling mini gowns that stud the babies. Aalana is her twenty three year old daughter who has been an inspiration for her amazing work. It was during her leisure time, travelling in the depths of imagination and creative flow that she discovered her love for the designing of baby wear. 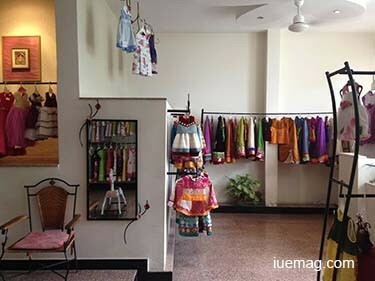 Talking about the rise of her establishment, Sudeepa recollects that it unravelled with crafting out beautiful frocks to gift her friend’s babies on special occasions. The kudos that she received for her exquisite masterpieces encouraged her to make the first move. “I put up my first exhibition at Amrutha Mall which was a crowd-puller and since then there was no looking back”, rejoices the smiling lady, going back to those wondrous moments that take her thirty years back in time. Sudeepa has discovered that she could bring her career and passion together making her life beautiful by riding her steed named Designing - Visual form of Art. Her first emporium found place in one of the rooms of her husband’s office. Her resplendent work soon became a big wow among her circle. Then with the flow of customers increasing gradually, she moved it to a store that she rented in her apartment complex. At that point of time there weren’t any boutiques exclusively for babies, so her ‘Aalana’ was in a class by itself. She never believed in advertising. Till date it is confined to her social circle and the near and dear of her old customers. She says proudly that it is her daughters who created a facebook page for her store and make sure that her recent works are uploaded. Presently, she has her ‘Aalana’ as a part of her house. So managing her family parallel with her business has been lot more easier. The secret behind this woman entrepreneur who is the best exemplar for a perfect work-life balance is that she strictly shuts her boutique at six in the evening and gets back to the chapter of family. She has limited the number of workers she employed presently to five including the tailors and caretakers so as to have a control over work and family. She says she is her own boss who is not answerable to anyone and can take an off when she desires. She loves what she is doing. Sudeepa is a simple minded lady who loves travelling. She goes around often with a close set of friends and family to take time off work pressure and to welcome a change in to her routine. She says travelling to various places rejuvenates her and she has a special memories associated with every place that she visited. 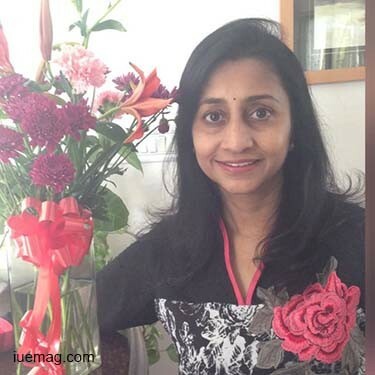 In fact Sudeepa believes in spending money on travel rather than extravagant lifestyle. So tuning herself into the role of a thoughtful mother, caring wife, responsible daughter-in-law and the authoritative mistress of house from the role of a dynamic designer is what made her a success story today. She stands as an inspiration to thousands of women who hesitate to take that initial step which can transform their lives and the world. Any facts, figures or references stated here are made by the author & don't reflect the endorsement of iU at all times unless otherwise drafted by official staff at iU. This article was first published here on 18th October 2016.